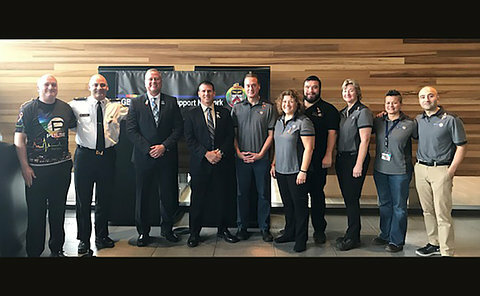 While in the city last month for the 10th annual Toronto Emergency Management Symposium at the Toronto Police College, the Toronto Police Service LGBTQ-ISN hosted Orlando Police Chief John Mina and Lieutenant James Young for a series of events. Young was the LBGT liaison officer in Orlando at the time of the Pulse Nightclub shooting in June 2016 that claimed 49 lives. 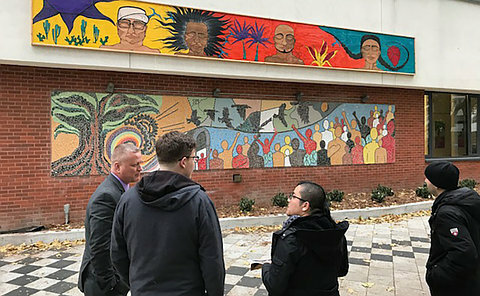 He visited the memorial at The 519 Community Centre and met the artist who created a wooden panel mural as a memorial to the victims of the attack. Janet Romero-Leiva explained to Young that the shooting affected many in the LatinX and LGBTQ+ communities. Young was also the guest of honour at a Coffee with Cops event at the Second Cup on Church St. He spoke to the Church-Wellesley Business Improvement Area members at the event attended by nearly 150 local community members. 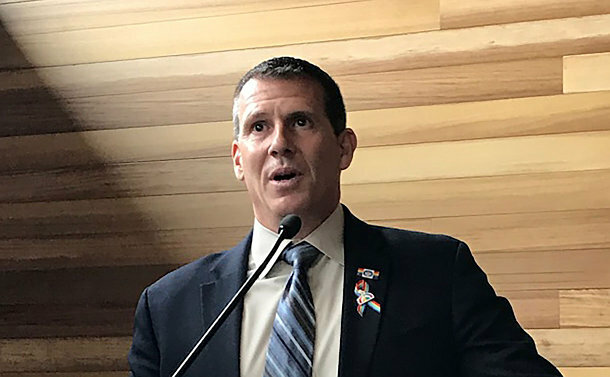 On November 16, Mina was the presenter at the LGBTQ-ISN Lunch & Learn where he spoke about the impact the Pulse shooting had on him, his police department and the community. At a funeral of one of the victims that Mina attended, there were anti-gay protestors. Young knew the nightclub owners and several of the victims who were killed. The TPS LGBTQ-ISN made a donation to the Orlando Ribbon Project campaign.